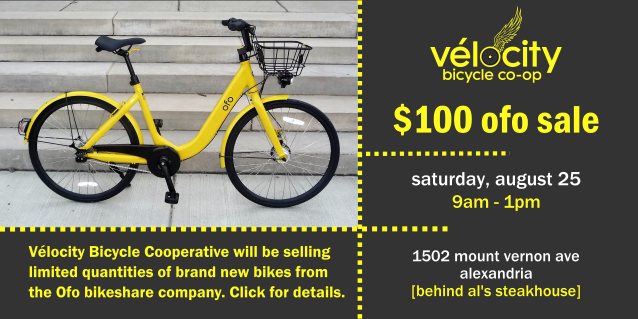 Vélocity Bicycle Cooperative – Building a bicycling community in Alexandria, VA.
Our mission is to grow and empower an inclusive biking community through education and affordability. Affordability: Make safe reliable bicycles more affordable for everyone. Diversity: Foster diversity within the cycling community. Education: Expand the availability of quality cycling education within the community. Recreation: Promote cycling as a healthy and enjoyable activity. 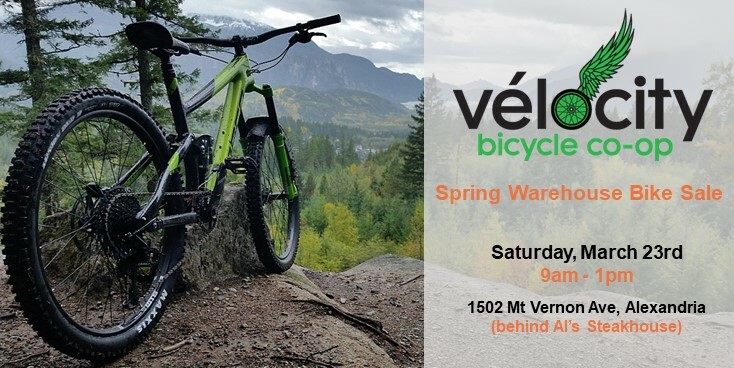 We provide a non-profit, volunteer-run, educational do-it-yourself workshop offering training, rides, and events to empower all levels of cyclists in building, maintaining, and embracing the fun of bicycles. As a local non-profit organization, we rely strictly on volunteers and funding from private individuals and organizations. Although we primarily work with recycled materials, we do spend money on consumables with include things like bicycles tubes, cables, and brake pads. We encourage monetary donations from all that use the shop. Our customer services include Open Shop time, full bike maintenance services, bicycle recycling, bicycles and new and used parts for sale. Do-It-Yourself Bike Repair: While we still provide traditional labor services and tuneups, we're different from traditional bike shops because we want to teach you to do-it-yourself. We provide the tools, parts, and verbal assistance. No experience is required. We ask for $15 an hour donations for our assistance. DIY hours are on weekends, Wednesday 6pm-9pm. Used bicycles and parts sales: We sell refurbished affordable bicycles and used and new parts. Used parts start at $5. Bicycle and Parts Recycling: As an organization dedicated to affordable access to cycling and sustainable transportation, we welcome donations of bicycles, parts, and tools. 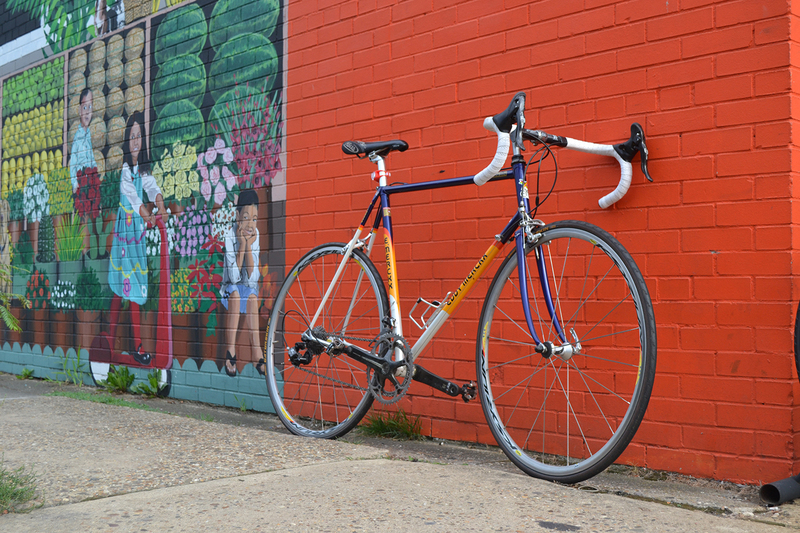 We refurbish all donated bicycles for sale or giveaway back into the community. The proceeds help support our Community Outreach Programs. In return for donations, we offer charitable donation receipts for tax purposes. Bicycle Maintenance Courses: Please see our classes page for details. Community Outreach Programs: Please see about us for additional details of how we serve our community outside of our shop. Community Rides: We lead community rides throughout the year. For upcoming rides, please follow us on our Facebook page. Vélocity Bicycle Cooperative from Andrew Vidakovich on Vimeo.